There are many cars that seem like they’ve been with us forever and it is a testament to manufacturers who have managed to build and evolve such a successful range of models for us to enjoy and make use of. It might not be surprising to find that a majority of such vehicles herald from Germany, a place renowned for efficient and reliable motors. The Volkswagen Golf, the BMW 3-Series and, in some form or another, the Audi A4 have all been staples of the automotive industry and make up a large volume of the current crop of cars on our roads today. This, however, is a tribute to a car that has subtly but capably been around for nearly 40 years, the Volkswagen Polo. The German supermini has been catering for those in need of a little run-about that could also hold a weekly shop. 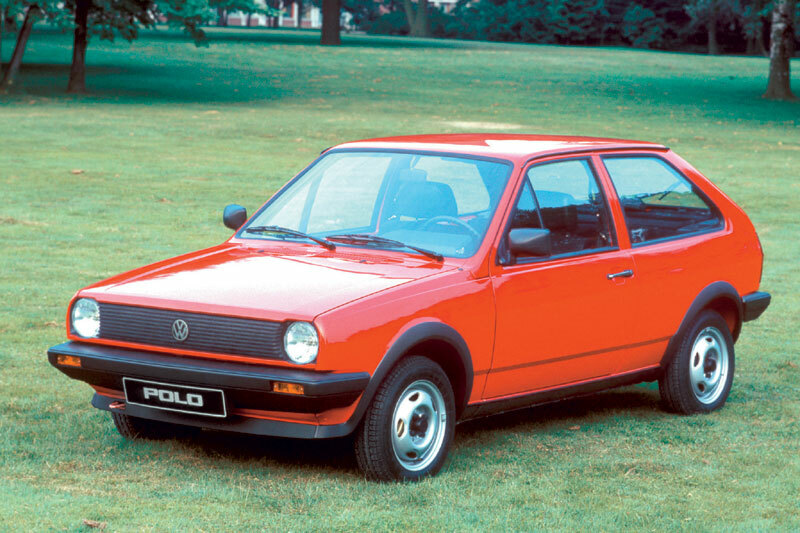 Launched in 1975, the Polo was basically a rebadged Audi 50 and the initial model ran for six years, with VW selling a massive 500,000 Polos by 1979. There was minimal difference between the plucky Polo and the slightly more expensive Audi, however the former was the better seller and the latter was withdrawn three years after the Polo’s introduction. In 1979, the Polo was given a facelift which saw the almost iconic black plastic bumpers become part of the look that we are so accustomed to with Volkswagens of that era, especially the Golf that was also creating quite the storm. October 1981 saw the second generation Polo emerge, complete with another body styling just two years after its facelift. VW’s takeover of SEAT meant that in the middle of its lifespan, the MkII began production in Spain and in 1983, the millionth Polo was produced. VW used the second Polo carnation to develop new technology which included supercharging, a prototype two-cylinder engined diesel plant and even a very early version of what we now call ‘stop-start’. After a midlife update for the MkII in 1990, its successor came out four years later and was a completely new model which was available in both a three and five-door guise for the first time. The new Polo’s platform, meanwhile, was shared with SEAT’s Ibiza MkII, along neither car shared body panels and instead had mutual dashboard and mechanical components. The MkIII got a facelift in 2000, the Polo getting new headlights and bumpers. The fourth gen Polo failed to follow in the footsteps of the popularity of its predecessor and didn’t sell particularly well in the UK. Again, the Polo shared a platform and components with the Ibiza, but this time Skoda was also involved and took advantage of VW’s good nature. In 2009, VW released the MkV which took the market by storm and is still proving to be popular to this day. The new Volkswagen Polo was crowned European Car of the Year for 2010 and also won What Car?’s Supermini of the Year; it was even declared Japan Import Car of the Year. This time round, as well sharing the Ibiza’s platform once more, the new Audi A1 also got in on the act. Styling wise, the Mk5 took many cues from the Golf VI and is 7.5 per cent lighter than its predecessor; it also received an impressive five-star Euro NCAP rating.